Throttle Works is an automotive performance shop in Boise, Idaho. They build race cars and street cars that they tune on their AWD Mustang Dyno. Now they have a new tool! They come up with a tool for any serious tuner that spends hours bent over the center console during the tuning process. 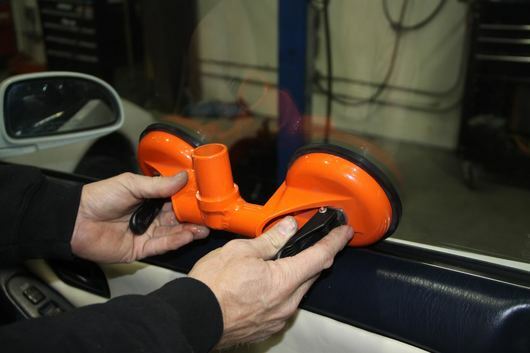 Their Dyno Tuning Laptop Mount attaches to the passenger window with a heavy duty (110 pounds) suction cup bracket. It offers six pivot points which makes it a perfect fit for any vehicle. During testing we successfully installed and tuned with the on everything from a Ford Raptor Pickup (wide, tall cabin) to a 5th Gen Camaro with its low ceiling height. Some cars may have side windows with too much curve to allow a good suction surface to attach to. So far the Mitsubishi 3000GT is the only car they have come across with this issue. Everything is included in the kit to get you up and comfortably tuning in less than 2 minutes. Thank you for purchasing our Laptop Mount, we hope it will become a favorite tool for you as it has us. Here are a few tips to help you enjoy the Tuning-Tools mount. 1. 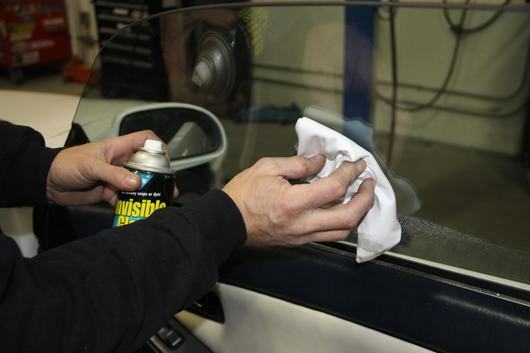 Be sure to thoroughly clean the window you will attach the Tuning-Tools Mount to with glass cleaner. 3. Spray a small amount of water on each suction cup and spread it evenly across the entire cup. 4. Place suction cup mount on window, apply pressure to mount as the handles are closed, ensure both cups have adhered firmly to the window. 5. 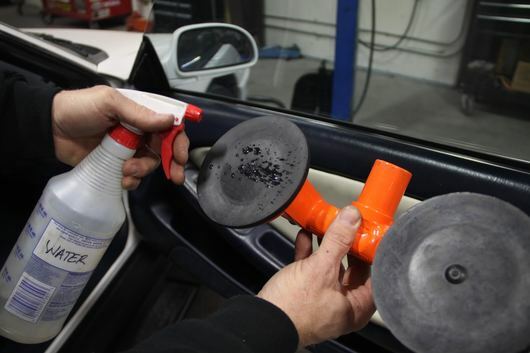 It is best to install the suction cup mount to the window from the inside of the car with the door closed, this is in order to apply pressure to the cup mount as the handles are closed. 6. Lock the door that the Tuning-Tools Mount is on, it is inevitable that someone will try to open the door while your laptop is on the mount which can cause damage to your laptop and/or your clients vehicle. 7. WARNING!!! PLEASE USE HEAVY PRESSURE WHEN INSTALLING THE SUCTION CUP MOUNT TO THE VEHICLE, AFTER INSTALLATION OF SUCTION CUP MOUNT VERIFY PROPER ATTACHMENT BY PUSHING/PULLING DOWN ON THE MOUNT. 8. WARNING!!! DO NOT LEAVE YOUR MOUNT ATTACHED TO THE WINDOW FOR EXTENDED PERIODS OF TIME. WE RECOMMEND VERIFYING THE ATTACHMENT TO THE WINDOW EVERY HOUR. TUNING-TOOLS IS NOT RESPONSIBLE FOR DAMAGE TO VEHICLES, LAPTOPS, OR PERSONS DUE TO IMPROPER INSTALLATION OR LACK OF VERIFICATION OF INSTALL ON A REGULAR BASIS. 9. WARNING!!! THE SUCTIONS CUPS WORK VERY WELL WHEN INSTALLED CORRECTLY, THEY CAN AND WILL REMOVE CHEAP TINT FROM THE WINDOW. CHANCES OF TINT REMOVAL GOES UP THE LONGER THE MOUNT IS ATTACHED TO THE WINDOW. TUNING-TOOLS IS NOT RESPONSIBLE FOR DAMAGE TO TINTED WINDOWS.